As part of its support for service and health projects, and the attention it pays to achieve strategic integration to ensure the highest standards of services, Dubai Municipality has launched the work of a project of Ambulance Services Center Complex in the Al Warsan III area. The project is expected to be completed by the end of the first quarter of 2011. Fifteen percent of the project, located on the Dubai - Hatta road, has so far been completed. The building, on a land area of 35,557 square metres, is expected to be the most prominent landmark along the highway. 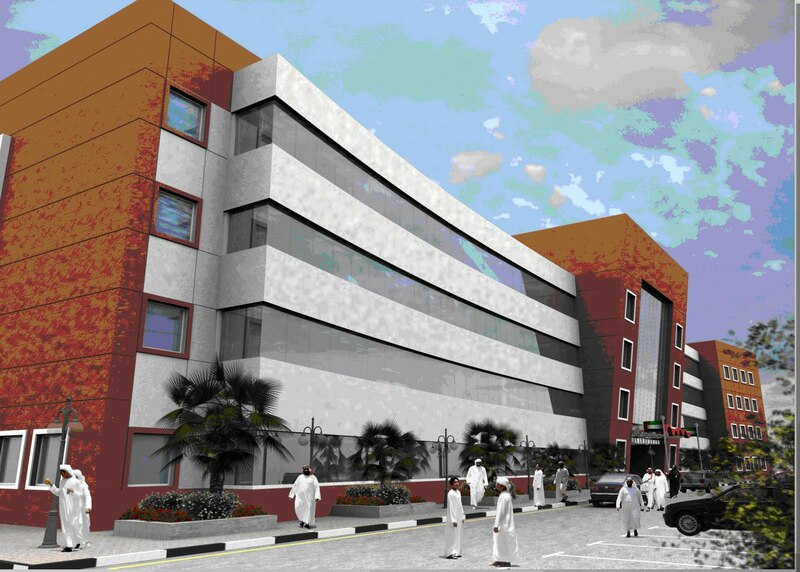 The project consists of five main buildings as well as a helipad and external works of the complex and the parking lots. The total construction area of the project is 12,650 square metres. The first building consists of the administrative offices in the ground floor, in addition to three floors on a total building area of 7,797 square metres. While the second building has an area of 3,740 square metres and is dedicated to vehicle maintenance workshops and equipment of Ambulance Services Centre. The third building is dedicated to the car wash stands and area of this building is 570 square metres. In addition to this, there is a service building that contains the main electrical transformers, telephone rooms and the main power room as well as an external water tank and a services building at an area of 278 square metres. The main administrative building consists of the administrative offices for three departments and a multi-purpose hall area that can accommodate 300 people, in addition to a training centre consisting of four halls, each with a capacity to hold 50 people. The maintenance workshop building consists of a workshop for 14 vehicles and electrical, mechanical and paint workshops and an emergency lounge area. The emergency bus equipping workshop has the capacity of holding three buses at a time. The mezzanine area is used for offices, prayer room and a warehouse for spare parts in addition to a department store for used materials. The external works include road asphalts and landscaping at an area of 2,572 square metres and external lighting, sewage lines and extensions as well as septic tanks and sedimentation. In addition to that there will be shaded car parking areas for 166 cars and 15 parking lots for ambulances. The outer wall extends to 300 metres in addition to that there are two gates for the project.